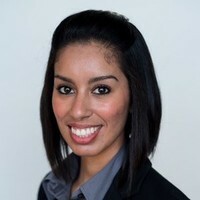 Background: Yoshira Cardenas Licea is a consultant with Bellwether Education Partners in the Strategic Advising practice area. Prior to joining Bellwether, Yoshira received her MBA from The University of Texas at Austin. Between her MBA years, she spent a few weeks as a summer fellow with Bellwether before serving as an Education Pioneers Fellow at Aspire Public Schools, where she created a competency model for non-teaching staff. Yoshira started her career as a Teach For America corps member in rural South Texas, where she spent four years as a bilingual third grade teacher and served as grade-level leader and technology representative. Yoshira holds a bachelor’s degree in economics from Harvard College. Why I do this work: Before I could even walk, my parents moved to the United States so I could have access to a quality education. They emphasized the importance of education as a means to advance out of poverty, and I was lucky to have teachers who supported me along the way. However, a quality education should not depend on luck. Regardless of zip code or demographic group, all students deserve an excellent education.